The mission of the Exercise Science program is to prepare students through Christ-centered values to assess, design, and implement fitness programs for clients based on scientific evidence to achieve optimal health and performance across a variety of settings. Through a dynamic academic and applied background, students are expertly prepared for professional certifications, and to enter post professional degree programs in exercise science and other allied health professions. 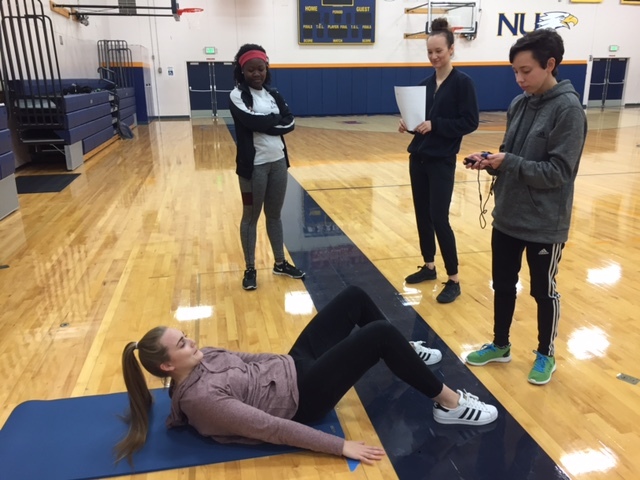 The Exercise Science major at Northwest University is designed to produce exercise science professionals who will impact the world of sports, fitness, and health and wellness. The program will provide the student with the knowledge, skills and abilities to assess, prescribe exercise for, and monitor clients in a variety of sport, health, wellness and fitness settings. This program of study provides the student with a thorough immersion into the field of exercise science, by using a combination of classroom, laboratory, practicum and internship experiences. The Exercise Science major is for students seeking a bachelor’s degree (BS, BA) and advanced certifications, having an interest in health, wellness, fitness, cardiorespiratory training, strength training and conditioning, nutrition, disease prevention, and health promotion. The major is intended to meet the ever-growing need for highly qualified professionals dealing with growing public needs in health, wellness, and fitness.